Pine Bluff, Arkansas recording artist Young Quez is a fast-rising star with his brand new project, titled, January 16th Reloaded. 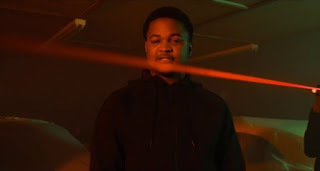 Currently, on the new project's campaign trail, Quez unveils the visual for the fan-favorite track, "It Is What It Is". An aggressive, gritty, and catchy, Quez's new video shows a side of the rising star that the world is eager to discover. Shot by talented director DJBruceBruce, Quez hits the streets with his squad to show us the rough side of the sticks. With a target on his back, Quez continues to shine with a relentless attitude, confident demeanor, and a tremendous amount of star power. A bonafide hit, "It Is What It Is" is trending, accumulating over 24,000 views on Worldstar Hip Hop in less than 24-hours. The new visual has helped Young Quez gather 2,000 new subscribers on Spotify. Hosted by popular Dirty South DJ, Bigga Rankin, the 10-track collective with a solo feature from Rankin-himself. The BVE/Money to Blow signee dedicated the new project to his beloved brother. Critics are labeling January 16th Reloaded, Quez's hottest body of work yet. Quez's latest project, January 16th Reloaded is available now on Spotify. Follow Young Quez on social media for up-to-the-minute information on everything about the rising star.